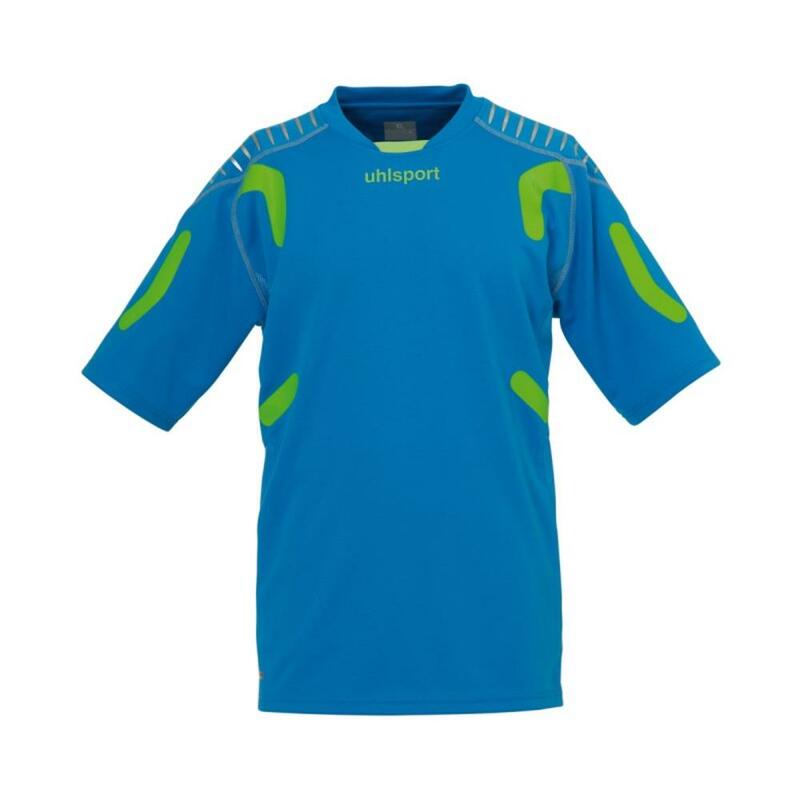 Save Big on the last Uhlport Torwart Tech short sleeve shirt. 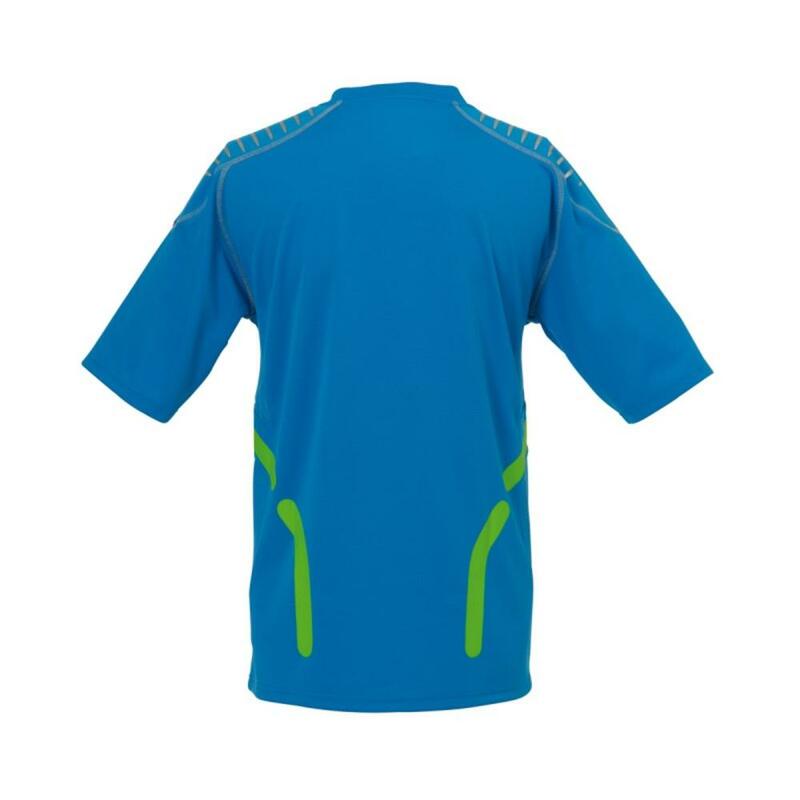 100% polyester interlock for excellent comfort and breathability. SMARTBREATHE MESH inserts help wick away sweat from the body and keep the goalkeeper cool. More durable than wearing a field player shirt. Great color combination of Cyan with Fluorescent Green. Machine wash. Do not dry. No padded elbows since it is short sleeve? V-neck collar with free floating arm sleeves.